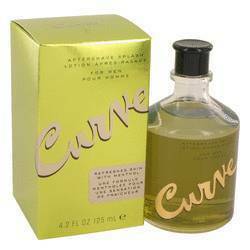 Curve Cologne by Liz Claiborne, Launched by the design house of liz claiborne in 1996, curve is classified as a refreshing, spicy, lavender, amber fragrance. This masculine scent possesses a blend of fresh greens, warm wind, pepper, finishing with mahogany and water. It is recommended for daytime wear. All fragrances are 100% authentic designer brands, we do not sell knockoffs or imitations.